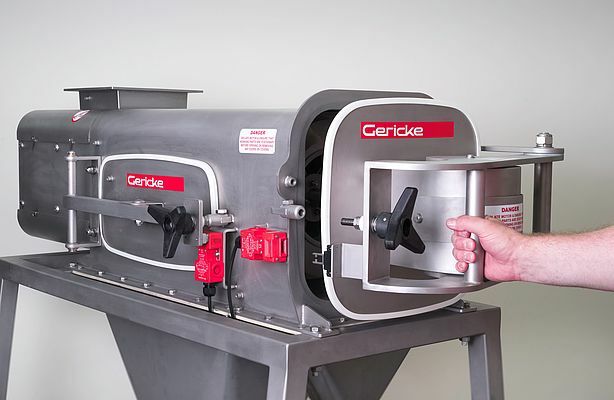 On commencing his position as General Manager at Gericke UK, Colin Arlott assessed the information and feedback from existing centrifugal sifter installations and decided that a new machine with an evolved design was required to meet today’s productivity demands, a machine with sound engineered solutions fit to bear the Gericke logo. 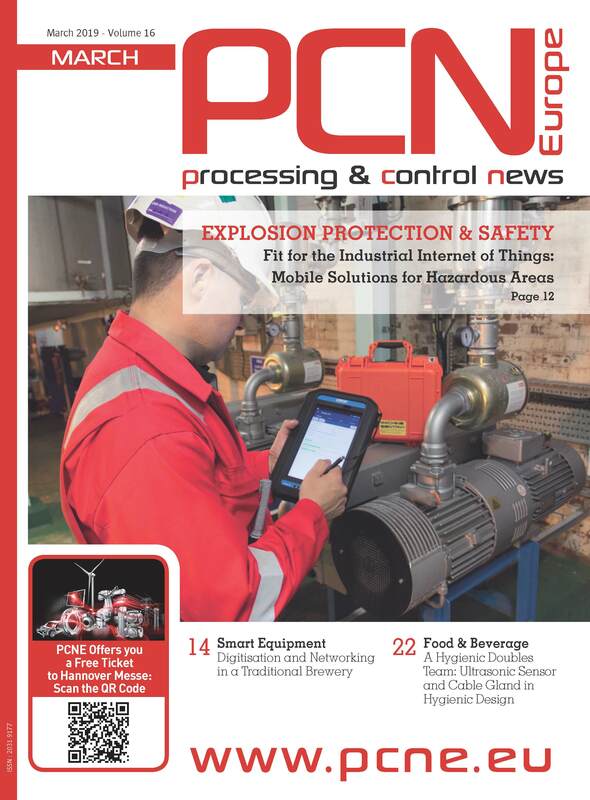 The project began in earnest in January 2018 with the analysis of sifting machines in operation around the world, identifying the various design features which have proven successful with operators and maintenance engineers alike, and importantly, identifying features which had not performed as expected within process environments. This analysis provided a focus for evaluation and a direction to redesign Gericke sifters to set a new industry standard. Whilst the concept is resolute, the demands of modern processes are ever increasing and the new range of Gericke GS sifters has been specifically designed to remain one-step ahead of these demands. 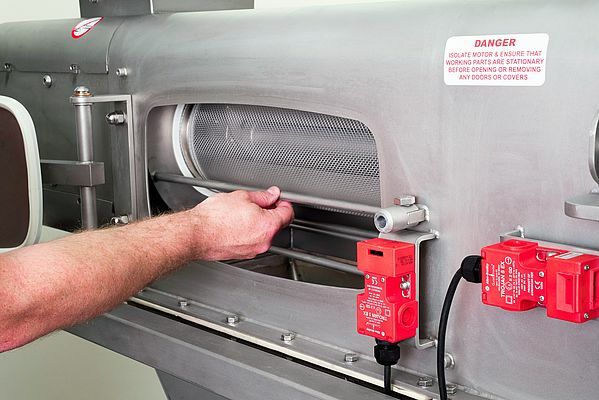 The new range of sifting machine provides time-proven application technology, yet allows for rapid inspection, cleaning, changeover, repeatability, access and maintenance. Operational up-time is maximised with features such as improved 360° in-situ basket inspection and time-frames for removing the basket assembly, replacing the sieve hose and basket insertion have been significantly reduced. Additionally; the orientation and location of the basket within the sifter is accurately repeatable and the basket fixing is simple yet robust leading to a more secure and accurately position basket. All of these features combine to minimise down-time, improve production, increase yield and maximise productivity. Similarly, Gericke have reviewed the methods for construction, fabrication, part procurement, assembly and testing, taking them back first principles, analysing where commonality of parts, standardised fabrications and dynamic construction can be employed. The Gericke UK based manufacturing team have been involved from the ground up to ensure all aspects of the machine are manufactured with best engineering practice, repeatability, minimised set-up, and standardised methodology. than 120 years. Gericke bulk materials processing technology can be found throughout the world in many sectors including the food, chemical, pharmaceutical, plastics and construction material industries. Gericke’s fully owned group companies employ more than 300 experienced professionals and are located in Switzerland, Germany, Great Britain, The Netherlands, France, USA, Brazil, Singapore, Indonesia, Malaysia, Thailand and China.